Product information "Outdoor Temperature Sensor"
Didactum`s outdoor temperature sensor is specifically designed for the monitoring and measurement of outdoor temperatures or where high levels of moisture or water is present. This weatherproof temperature sensor is compatible with all network-enabled Didactum remote monitoring devices and PDU`s. 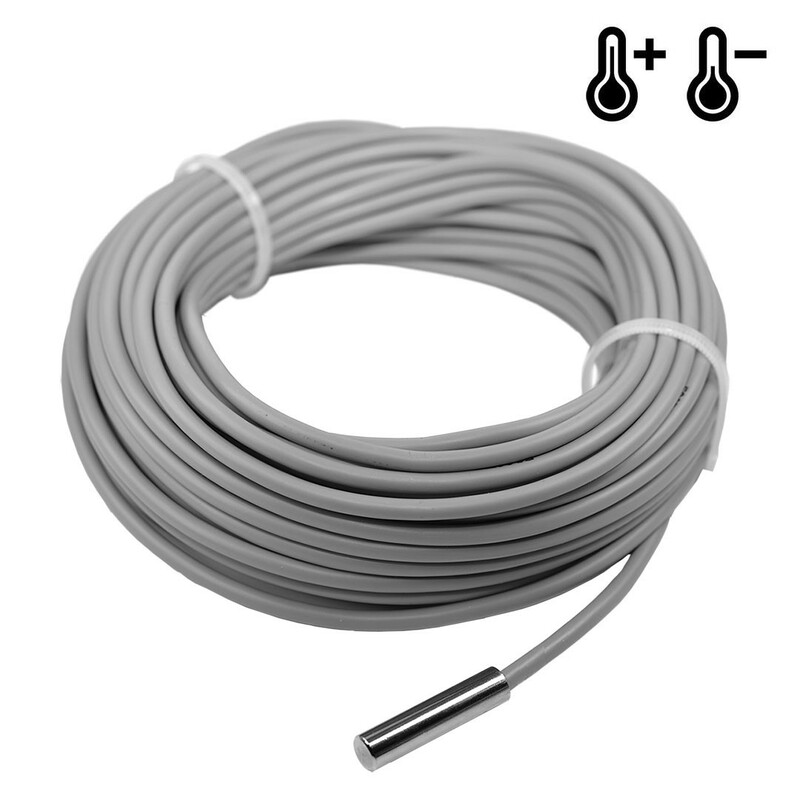 This Didactum outdoor temperature sensor is supplied with a 15 meter RJ-11 patch cable. The weatherproof temperature sensor can also be extended with an optional patch cable up to 100 m. Simply plug this outdoor temperature sensor into one of the 8 analog sensor ports of your Didactum remote monitoring device. Didactum`s Power Distribution Units are also supported. This sensor is automatically detected via the auto-sensor feature and immediately displayed in the multilingual web interface or your Didactum base unit. You can then easily configure the outdoor temperature sensors required alarm thresholds individually. The outdoor temperature sensor can also be remotely polled via your network or the web. The integration of this weatherproof temperature sensor into your SNMP software such as RRDtool, Cacti, MRTG and NMS (Nagios, OpenNMS, Zabbix etc.) is very simple using the SNMP MIB files and a Nagios plugin which are included. Related links to "Outdoor Temperature Sensor"
Our comment on "Outdoor Temperature Sensor"
Installation An all-weather 2-pair UTP cable of 15m emerges from the cylinder. After installation of cylinder outside of a building, the cable must be placed to reach the system unit. Connection After installation RJ-11 connector is connected to an analog input of any system unit. Determination of type of sensor and connection occur automatically. Notice: This sensor is not IP66/IP67 certified. Customer evaluation for "Outdoor Temperature Sensor"